Here’s the deal. 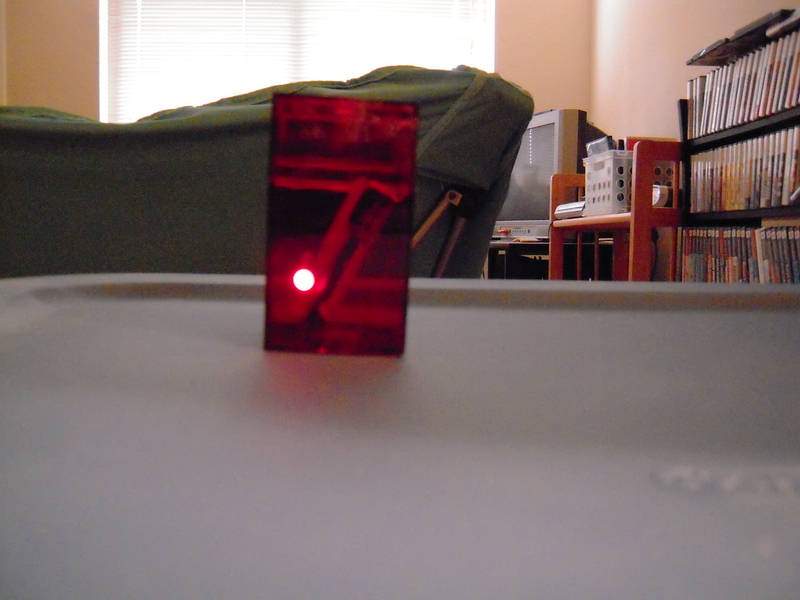 I want to put a battery plus an LED into a container. But as you can see a breadboard and battery clip just doesn’t fit. I don’t want to solder for something this simple, but I can’t just tape the LED to the battery because the leads of the LED aren’t long enough to stretch across the ends of the battery. The solution is to use adhesive tape and aluminum foil. 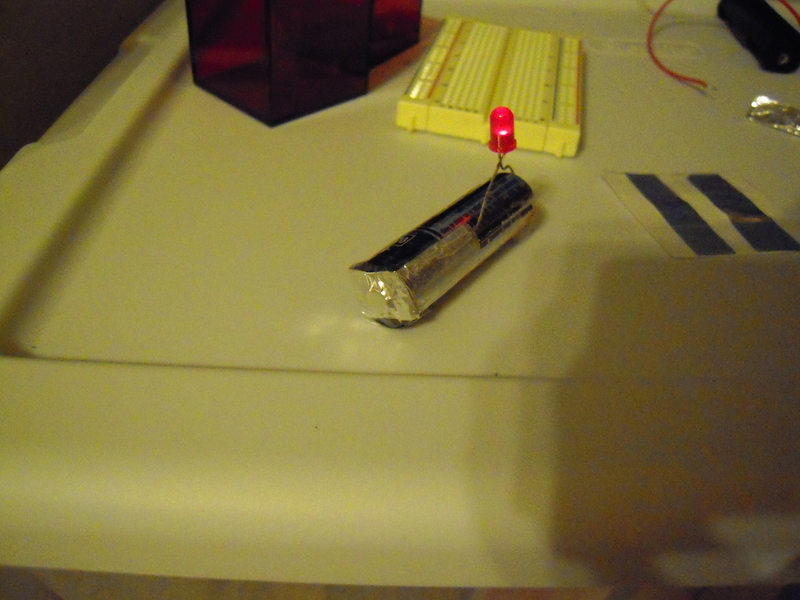 The foil is wrapped tightly around the pointy end of the battery, and then the LED is taped to the end of the foil and then one end of the battery. 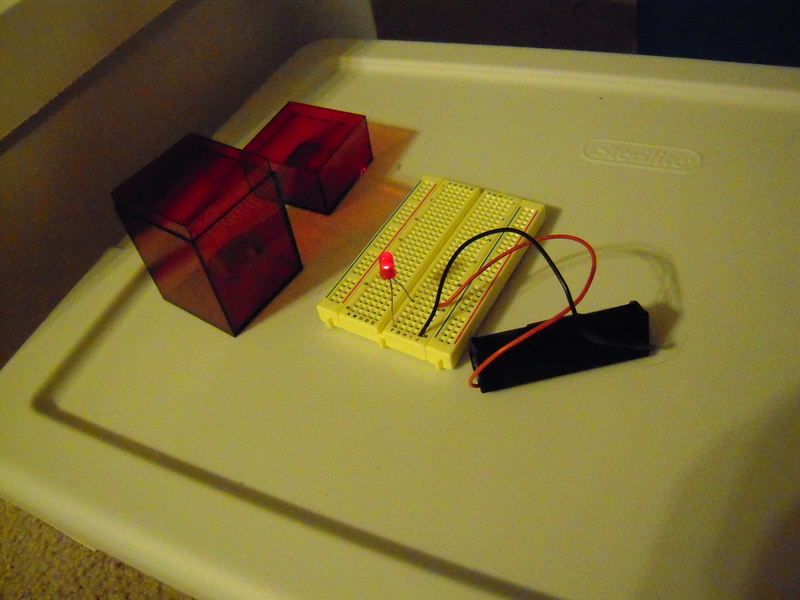 Not exactly a marketable item, but the alternative was to use a breadboard ($8.95) and a battery clip ($1.98) for a total cost of nearly $11. That’s about double the cost of the battery, LED, and box. So this is one way to cut costs on making an item for personal use.